Takedown: The Attempted Political Assassination of Patrick Brown, the bridge-burning tell-all memoir by Brampton’s new mayor, has stirred a Tory caucus hornet’s nest even before it officially hits bookstore shelves. Former colleagues in Ontario’s Progressive Conservative party, many of whom come in for a shellacking in the book, have hurled invective at the former party leader, who was ousted within hours of revelations of two sexual-misconduct allegations last January on the eve of the provincial election campaign. Brown’s wrath with cabinet members such as Lisa MacLeod and Vic Fedeli, expressed in pull-no-punches style in the book, comes as no surprise to observers of the fraught insider politics of the party between Brown’s nomination to the leadership and this spring’s election. The most vocal reactions have come from these two, but there have been many others. “I would rather have the endorsement of Kathleen Wynne than Patrick Brown. The lies in this book are disgusting. 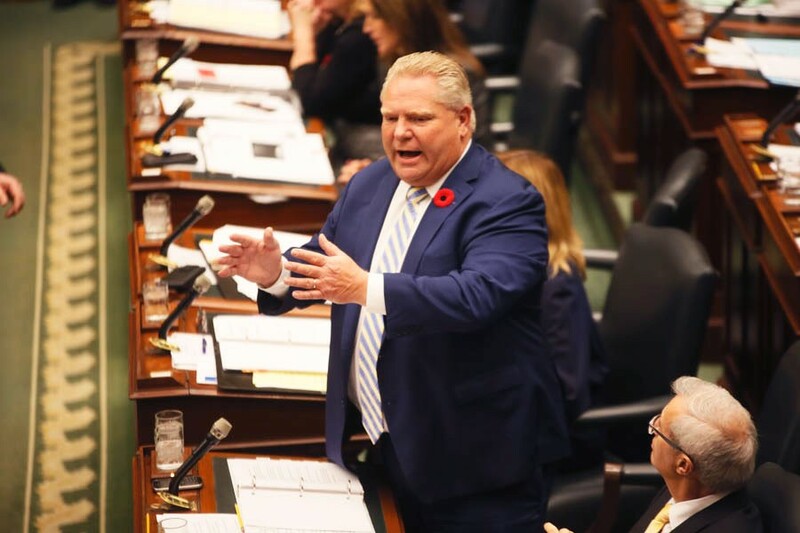 To suggest that one of our Ministers would fake a mental illness is dangerous and cruel,” Ford wrote, in reference to scathing comments Brown made in the book about MacLeod, minister of children, community and social services. 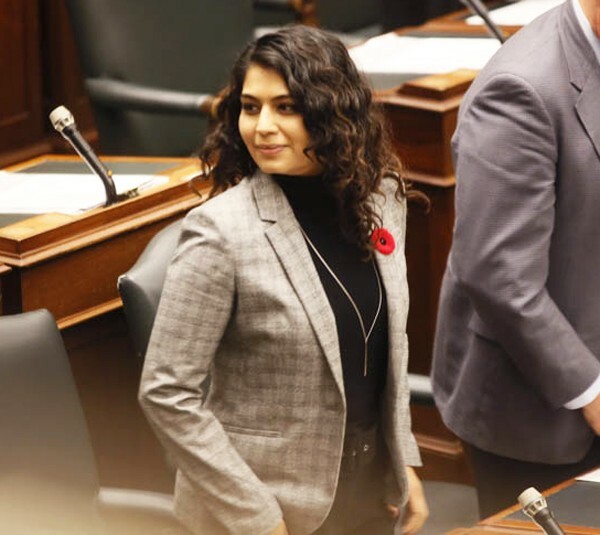 Meanwhile, Brown’s allusions to sexual misconduct allegations against Finance Minister Vic Fedeli have prompted calls from NDP Leader Andrea Horwath and Brampton Centre MPP Sara Singh for an investigation. During question period, Singh called on Fedeli to step down until one can be carried out. “The allegation isn’t just one of sexual misconduct, but that public money was used to ensure that this information didn't come to light,” Horwath said, repeatedly demanding to know whether the government would order an investigation. Fedeli has vigorously denied the allegations and joined other party veterans calling the book a political hit job. Ford told Horwath in question period that a third-party investigation of the allegations against Fedeli had already shown there “wasn’t a shred of evidence,” and continued to attack Brown’s credibility rather than accede to her call for an independent probe. Brown says he was given a handwritten letter by a female party staffer that accused Fedeli of inappropriate behaviour. Brown has not produced this letter. Takedown will be unveiled to the press at Rotary Glen in Brampton tomorrow afternoon. But an advanced copy of the book was given to a select number of media agencies (including The Pointer) earlier this week. He alleges that she and Fedeli — with whom there was also no love lost on Brown’s part — set in motion a series of events to oust Brown after CTV broke allegations of sexual misconduct against him in January. “Rumour had it that MacLeod and Fedeli cut a deal. She would back him to take over as the permanent leader, and in return she would be finance critic,” he writes in Takedown. Brown, who takes over the mayor’s chair in early December, is also suing CTV News for $8 million after it broadcast the allegations, which Brown vigorously denies in the book. It’s been a seminal year for Brown who, after his ouster, moved into a new home in Brampton, married Genevieve Gualtieri, won a new job as mayor of Canada’s ninth largest city, and wrote the memoir.